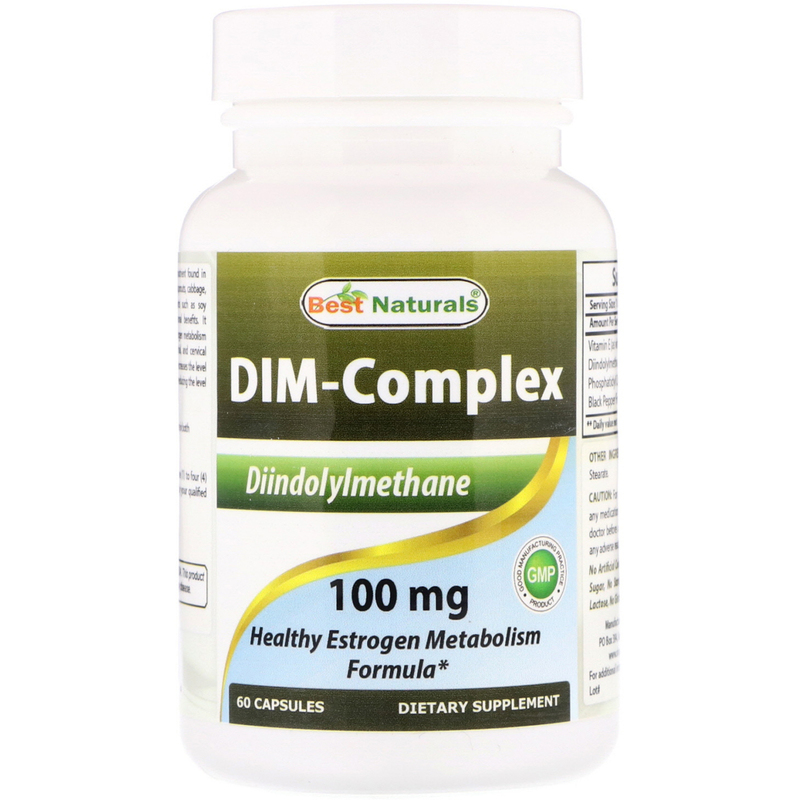 DIM-complex contains diindolylmethane, a phytonutrient found in cruciferous vegetables including broccoli, brussels sprouts, cabbage, cauliflower and kale. Unlike other plant nutrients such as soy isoflavones, diindolylmethane has unique hormonal benefits. 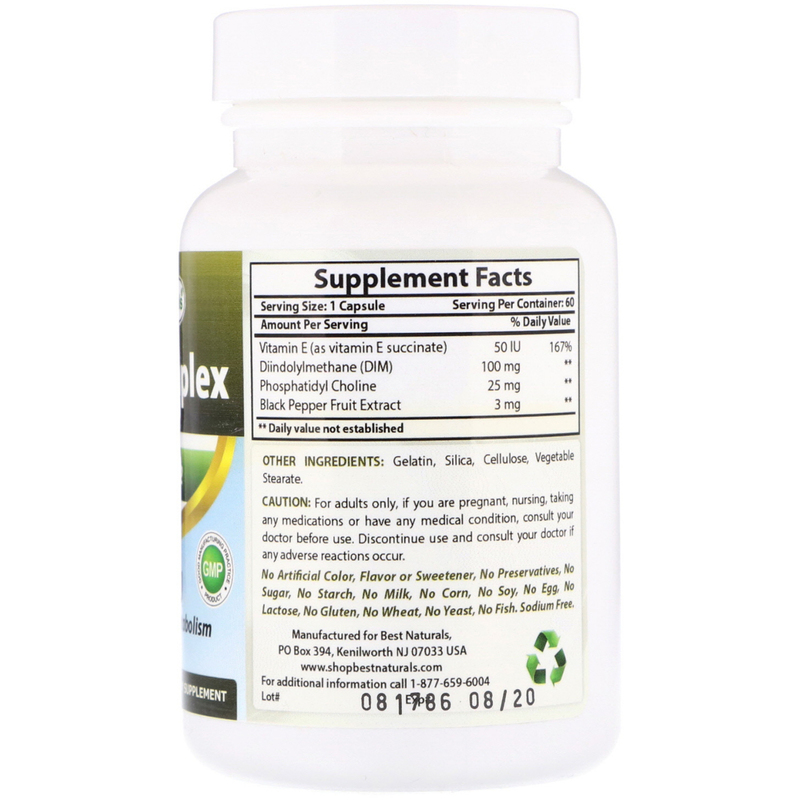 It supports the activity of enzymes that improve estrogen metabolism that is correlated with healthy breast, endometrial, and cervical tissues. Scientific research shows diindolylmethane increases the level of “favorable” estrogens (2-hydroxy-estrogen) while reducing the level of “less favorable” estrogens (16-hydroxyestrogen). As a dietary supplement, take one (1) to four (4) capsules daily, preferably with meals, or as directed by your qualified healthcare professional. Gelatin, silica, cellulose, vegetable stearate. No artificial color, flavor or sweetener, no preservatives, no sugar, no starch, no milk, no corn, no soy, no egg, no lactose, no gluten, no wheat, no yeast, no fish.